BBL Driver® is an innovative app that offers drivers a variety of conveniences. Critical information is immediately available on their smart devices, such as registration, proof of insurance and personal and business mileage reporting - all at the drivers' fingertips. BBL Driver® also features maintenance alerts, mapping, company-specific information, vehicle metrics and more. BBL Driver® provides an electronic record of fleet-related vehicle purchases, including fuel and maintenance expenses, making it convenient for the driver and eliminating paper receipts. Other functionality includes driver training, fleet quality surveys, corporate document acknowledgement and more. Fleet drivers everywhere appreciate this innovative tool. 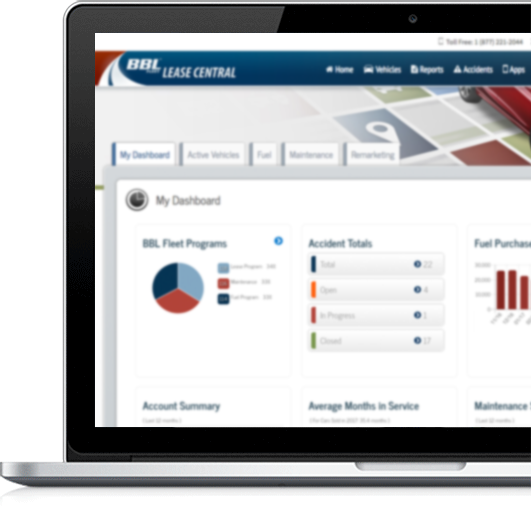 Lease Central® is BBL Fleet's online fleet management system, designed to help you track your fleet information. The password-protected web site was developed to allow you to navigate through the system with ease. Many reports and features are available such as Vehicle Pricing/Ordering, E-billing, Maintenance/Vendor Store Locator, Fixed/Variable Expense Reporting, Management Tools, Online Driver Sales, Vehicle Status Reports, Online Push Reports and Transactional Data Management Tools. 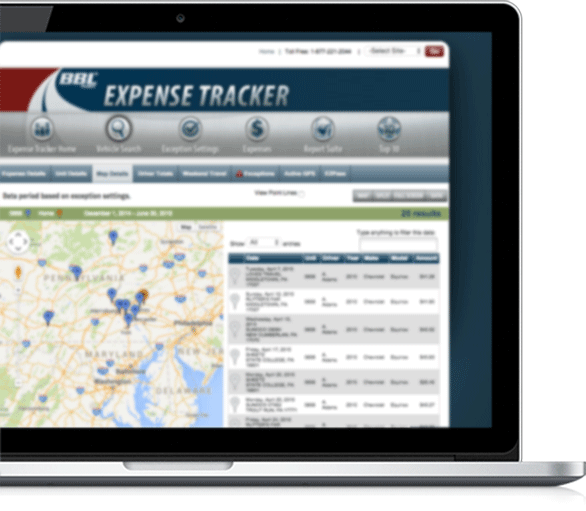 BBL Fleet Expense Tracker is a Web-based, fleet management tool that enables Drivers' Reporting Managers and Fleet Administrators to further reduce overall fleet costs by tracking expenses, exceptions and more, using innovative visual mapping and reporting across all metrics. 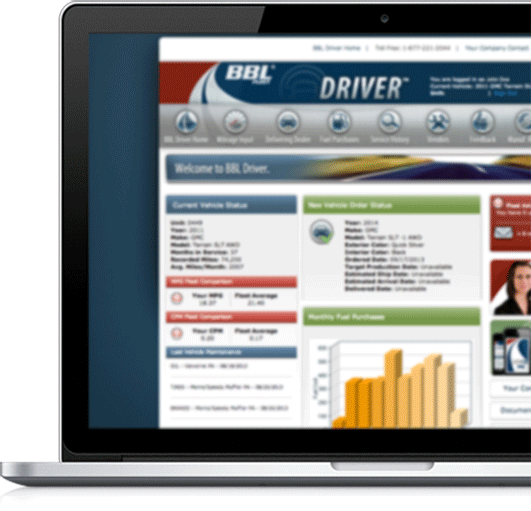 BBL Driver® is our extensive, online vehicle management tool. BBL Driver® not only allows your fleet's drivers to quickly and easily submit vehicle information to BBL Fleet Lease Central®, but also grants online access to comprehensive vehicle reports and several fleet vs. driver comparisons. BBL Driver® is a great communication tool between Administrator and Driver to exceed goals and minimize risk exposure. BBL Driver® features many reports and features such as Maintenance Alerts for Oil, Tires and Brakes, Fuel Purchase Reporting, Service History Reporting, Vehicle Ordering, Fleet Administrator Messages, Vehicle Mileage Input, Maintenance/ Vendor Store Locator, Company Specific Documents and Downloads, Quality Control Surveys and more. 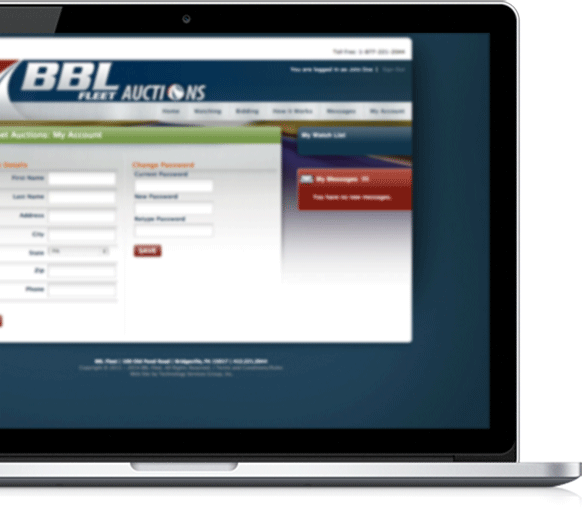 BBL Auctions® is a unique, online service offered exclusively from BBL Fleet. BBL Auctions® allows your company employees to not only create accounts and view vehicles previously leased by your company, but competitively bid on these vehicles in real-time against other company employees in order to maximize the sale of your previously leased vehicles.